There are four categories of German wine. These are identified below. Table wines are those wines made from grapes that have reached the first level of ripeness. By law, these wines must meet the following criteria. They must contain a natural alcohol content of 6% if originated from the Baden wine region and 5% if originated from all other German wine regions. They must be produced exclusively from German grapes grown in one of the five Tafelwein regions. They must have a total alcohol content (as defined on the label) ranging between 8.5 - 15%. Landwein is a superier table wine. By law, these wines must meet the following criteria. They must contain a natural alcohol content of .5% higher than the Tafelwein. They must be produced exclusively from German grapes grown in one of the 19 Landwein regions. They must be labeled as "Trocken" or "Halbtrocken" on their label. Literally translated, this is a quality wine from one of the 13 German wine regions. They are usually made in one of two ways: (1) grapes at different ripeness levels are used to produce the wine; or (2) grapes from different vineyards are used to produce the wine. Here in the USA, they may be marketed as "Estate Wines." According to German law, these wines must meet the following criteria. They must be produced exclusively from German grapes grown in one of the 13 wine regions. The region must be identified on the label. They must have a total alcohol content (as defined on the label) of at least 7%. These identify Germany's premium quality wines. They are made from fully ripened grapes and must be produced exclusively from German grapes grown in one of the 13 wine regions. These wines are completely natural - the winemaker may not add any additional ingredients (such as sugar or yeast) to the grape juice. Additionally, these wines must have a total alcohol content (as defined on the label) of 7% (or 5% for Beerenauslese and Eiswein varieties). There are 6 attributes (Prädikate) that define the QmP wines. These attributes are based mainly on ripeness levels of the grapes at the time of harvest. They are listed here in ascending order of grape ripeness levels. This information must be identified on the wine's label. Kabinett - Wines made with fully ripened grapes. These grapes are picked several days after those used for QbA wines. These wines are the lightest of the QmP wines. They contain a low level of alcohol and are excellent with or without food. Spätlese - This means "Late Harvest" and identifies those wines made with riper grapes. These grapes are picked 12-14 days after those used for Kabinett wines. Spätlese wines are more intense in flavor but are not necessarily sweeter. They pair well with rich, flavorful foods or are excellent on their own as well. Auslese - Wines made from specially selected, very ripe grapes. These wines are intense in aroma and taste and are usually sweet. Beerenauslese (BA) - Wines made from specially selected, overripe grapes (by law these grapes must be picked by hand, not mechanically). These are rare wines because the grapes can only achieve this ripeness level if weather conditions permit. They are very sweet and rich and work well as dessert wines. Beerenauslese wines can be stored for decades. Eiswein - This means "Ice Wine." These are wines made from overripe grapes (same ripeness level as Beerenauslese), harvested and pressed while frozen. These wine are sweet and fruity. 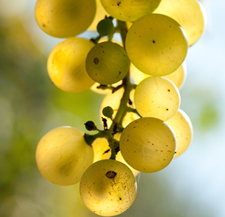 Trockenbeerenauslese (TBA) - Wines made from specially selected, dried, raisin-like grapes (by law these grapes must be picked by hand, not mechanically). These are very rare wines and expensive. They are rich and very sweet. Trockenbeerauslese can be stored for decades. Style (or taste) is based on the amount of residual sugar in the wine. Residual sugar is the amount of sugar that is left in the wine after fermentation. The more residual sugar in the wine, the sweeter the taste. The less residual sugar, the drier or less sweet the taste. The following sytles are used to identify German wines. Identifies a wine in which all or nearly all of the natural sugar has been fermented (converted into alcohol and carbon dioxide). By law, the level of residual sugar must not exceed 9 grams per liter. These wines are not sweet. Identifies a wine in which some residual sugar is still present. By law, the level of residual sugar must fall between 9-18 grams per liter. A hint of sweetness is evident in these wines. Identifies a wine with a residual sugar level of 18-45 grams per liter. These are mild and sweeter wines. Identifies a wine with a residual sugar level of more than 45 grams per liter. These are sweet wines. 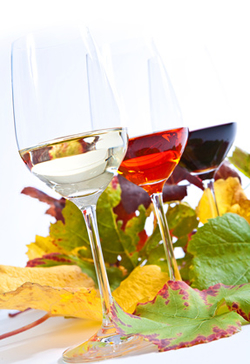 German wines labeled as "Classic" are generally dry, with an ideal balance of sweetness and acidity. The level of residual sugar must not exceed 15 grams per liter. They must also contain a total alcohol content of at least 12%. Selection wines are those of exceptional quality. They are dry with a maximum residual sugar level of 9 grams per liter. The exception is the Riesling wine, which can have a residual sugar level of up to 12 grams per liter.